This is a public service announcement for those looking to purchase Call of Duty: Infinite Warfare on PC: don't purchase the Windows Store version, as you won't be able to play with those who bought the game on Steam. Activision confirmed through its support website that Infinite Warfare is not cross-compatible with the two versions available for PC gamers. The same goes for Call of Duty: Modern Warfare Remastered, which is also available through both the Windows Store and Steam. Previous Call of Duty games have been available through Steam first and foremost, so it's a given that the vast majority of gamers will be playing the Steam version of Infinite Warfare. If you purchase the Windows Store version, you will be stuck in multiplayer modes with only a small subsection of players on PC. Even worse, if you purchase Infinite Warfare on the wrong platform, you won't be able to play with your friends who chose the other platform. Make sure you coordinate between your mates as to which PC version you'll be playing, and if in doubt, choose the more popular game platform (Steam). The lack of cross-compatibility between the Steam and Windows Store versions is strange given that both are PC platforms. It makes you wonder why Activision even bothered releasing a Windows Store version. 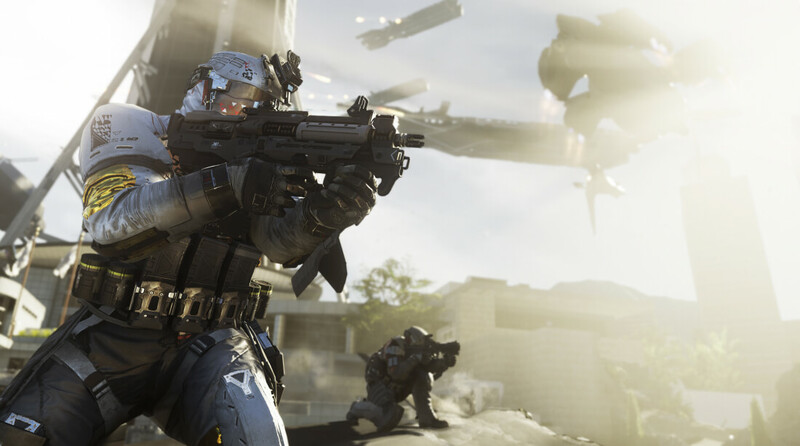 In any case, Infinite Warfare will be released on all platforms, including current-gen consoles, on November 4th.